Ram 1500, Ram 2500, Ram 3500: Which Truck is Best for Me? While all three trucks are winners, there are some differences in these three configurations. These differences impact the trucks’ performance, affordability, and purpose. Find out more about the Ram 1500, Ram 2500, and Ram 3500, and then come test drive one, two, or all three of them at Tacoma DCJR in Tacoma, WA. 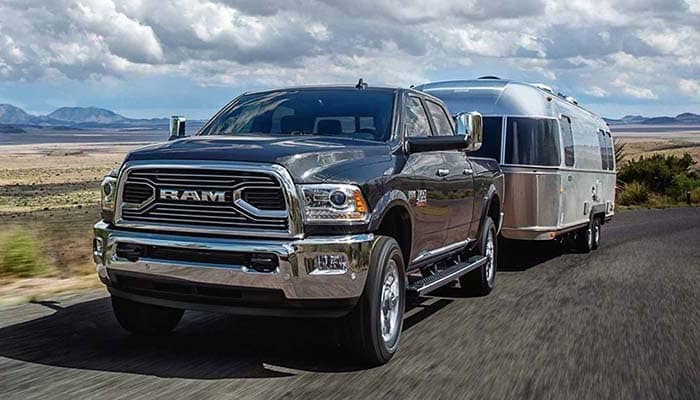 While the 2019 Ram 1500 offers impressive performance and general towing numbers, both the Ram 2500 and Ram 3500 outclass it. Consider the Ram 2500 and Ram 3500 muscular upgrades – upgrades that can tackle the toughest Tacoma jobs. The all-new 2019 Ram 1500 is able to get up to a best-in-class 27 mpg highway when equipped with a 3.0L EcoDiesel V6 engine. The 2018 Ram 2500 and 2018 Ram 3500 also offer relatively strong fuel efficiency, but neither vehicle is as impressive as the Ram 1500. Where both the Ram 2500 and Ram 3500 excel in performance, they fall a little short in fuel efficiency. Take a closer look at the fully redesigned 2019 Ram 1500 and see how it compares to the Ram HD pickups in person. While you’re at it, see how the used Ram 1500 beats the used Toyota Tundra. Count on the team at Tacoma Dodge for general driving advice like how to drive your Ram in fog. Feel free to contact us with any questions, or how you can get started in buying the Ram truck that works for you.